Within Australia, on average 32 children annually will act as bone marrow donors for a sick relative. Worldwide, thousands of children undergo non-therapeutic procedures removing tissue to hopefully provide treatment and cure for a sick relative. While relatively common in medical practice, the participation of children as donors raises ethical, legal and practical issues due to the vulnerability of children in this context. 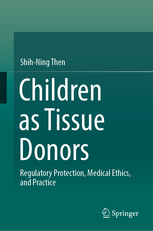 Dr Shih-Ning Then’s book, Children as Tissue Donors Regulatory Protection, Medical Ethics, and Practice, is the first book to provide a comprehensive and integrated legal, ethical and empirical analysis of tissue donation by children. In recent years, a growing body of literature concerning the clinical experiences and outcomes for child donors has emerged. This book adds to this by examining another dimension – the regulatory frameworks at play. It examines the ethical arguments for and against children acting as tissue donors and provides an original analysis of the legal and non-legal regulatory frameworks governing children’s participation in the United Kingdom, United States and Australia. 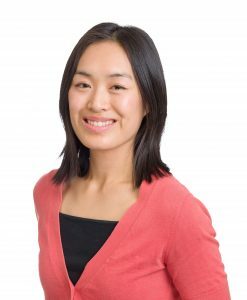 Shih-Ning’s research interests include issues in healthcare faced by groups traditionally considered as vulnerable in society who have often been denied a ‘voice’, including children and adults with decision-making difficulties. Shih-Ning is an interdisciplinary scholar who works with clinicians, ethicists and social scientists in her research. She is the recipient of competitive grant funding and is currently a member of the Australian National Health and Medical Research Council’s Organ and Tissue Working Committee. Learn more about the Australian Centre for Health Law Research at QUT .